Diamond Select Toys has announced the next figures from the company’s Star Trek retro line will be none other than Mr. Sulu and the alien Gorn! These cloth figures are based on the MEGO figures from the 1970s. 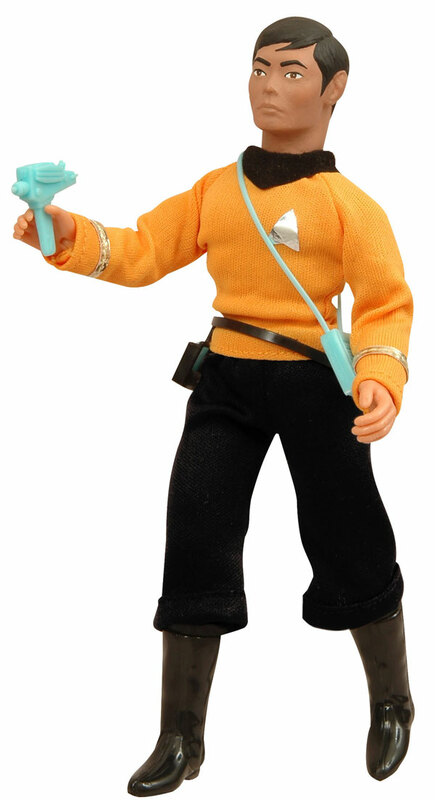 Sulu is a brand new sculpt, while Gorn is an update to the original figure. I have a Enterprise bridge in its original box and Spock, Uhura and Mc Coy. These retro figs if you go to the Diamond site, are pretty much spot on replicas of the original Mego figs. Great stuff. Too bad I don’t have a larger “disposable” income. My comics are breaking me as it is, or these would be mine.